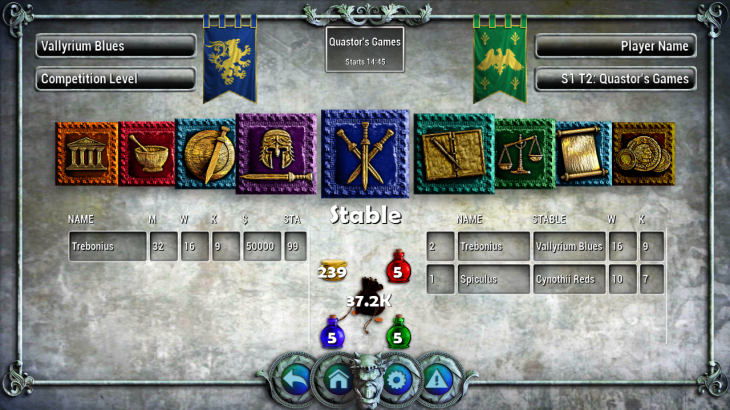 First Sword is the first combat management game for mobile and online play. 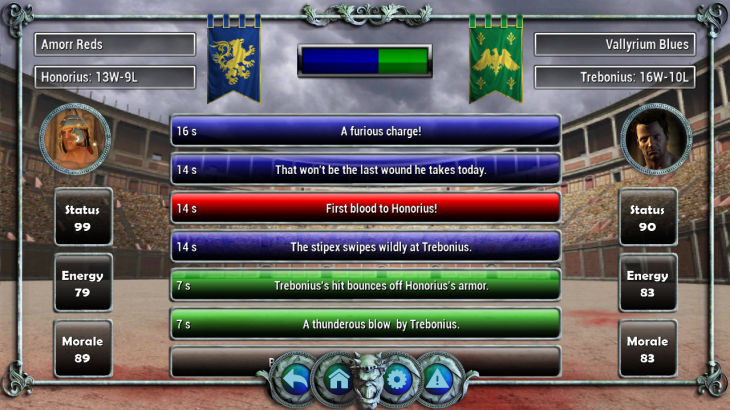 Featuring a sophisticated commentary engine of more than 5,000 messages that allows for unprecedented precision, First Sword allows you to buy, sell, train, and fight your gladiators in an epic fantasy world. 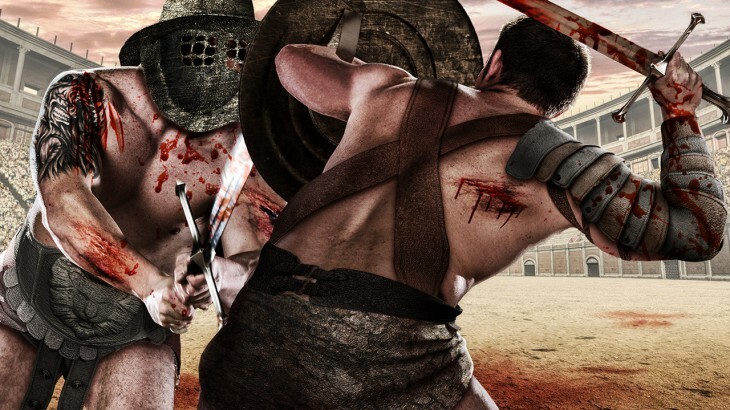 Gladiators are purchased from a pool of slaves, convicts, and prisoners-of-war or bought from other gladiator stables. They range from feeble goblins to powerful trolls, depending upon whom the legions of mighty Amorr have most recently waged war. Pay regular attention to the latest news to know the right time to buy low and sell high. Hiring experienced ex-gladiators as trainers permits you to improve the skills of your gladiators without risking them in the arena, but the only way to increase your status and move from the small arenas of the provinces to the great Imperial coliseums is to fight your gladiators and see them win more than they lose. 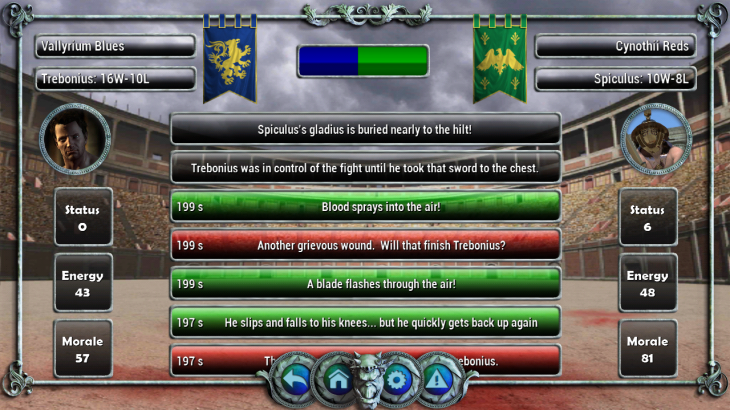 Each player controls a stable with up to 24 gladiators. A season consists of two tournaments and 22 matches with 11 rival stables. Not all matches are to the death, but even in training, accidents can happen! First Sword is a free-to-play game for Android, iOS, Facebook, Windows, and Web Browser. 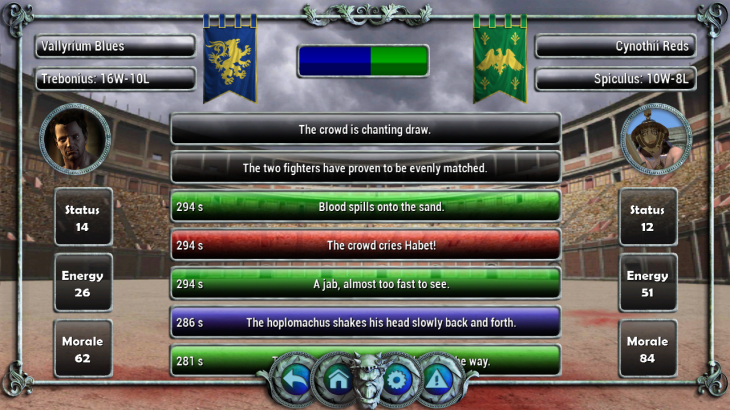 It is the first in a series of combat management games designed and developed by Alpenwolf, a new game studio with 20 years of experience in the game industry.